If you’re looking to join a global team of exceptional people; committed to designing, delivering and supporting best-in-class technology solutions in a fast-paced, results-oriented and growing company – Belden is for you. Our people are creative, smart, analytical, and obsessed with being the best, working together to deliver high-quality solutions and services to customers across the globe. We can offer you a challenging and dynamic working environment in which we are constantly growing together. We pride ourselves in giving our people the opportunity for rapid development – taking on stretch assignments, working with senior executives from the outset, constantly learning new capabilities, and advancing their careers, across businesses and locations, at pace. At Belden, there is never a time to be bored and always an opportunity to learn and grow. We are a socially responsible employer, encouraging our people to support charitable activities and causes that they are passionate about, and rewarding and supporting them for their efforts to society. To meet some of our talented people, learn more about our values, or hear what our customers have to say about us, search for open vacancies or contact us to find out more, click on one of the links below. PPC understands the importance of our customers’ satisfaction and continuous improvement. We succeed together through teamwork and invest in talented employees who always reach for their greatest potential. PPC instills an innovative mindset on its employees and recognizes those who offer ideas and suggestions to improve business decisions. PPC is dedicated to continuous improvement of our people, processes, products and services, always determined to exceed our customer’s expectations. PPC is an ISO 9001:2015 certified site. PPC is committed to maintaining a safe work environment for all employees. From teaching safe work practices to maintaining proper conditions in the workplace, we are dedicated to the safety of all individuals through several programs. We have a team of trained first responders on site for all shifts, as well as safety committee meetings and safety audits. PPC also has a safety program incentive for employees to report safety concerns for improvement. At PPC, we believe in promoting open and frequent dialog with our employees so they can be involved in business decisions to better the company. We hold quarterly town hall meetings about the state of the business, department updates and more. We also host roundtable meetings with our leadership so employees of all departments and shifts can have an open-forum conversation. PPC has medical plans through Excellus BlueCross BlueShield, with an employer-funded HSA or an employee-funded FSA available, based upon plan selection. Dental insurance plans are provided through Guardian, while vision insurance is through VSP. PPC offers a company-paid basic term life insurance policy. Additional voluntary employee, spouse and dependent life insurance policies are also available. PPC partners with Empower Retirement for a 401k plan with a competitive company match program. It is a Safe Harbor Plan, which means there is no waiting period for vesting. PPC is committed to the achievement, health and success of our employees, and that means taking time off to spend with family and friends. We offer vacation, personal time and paid holidays to all employees. 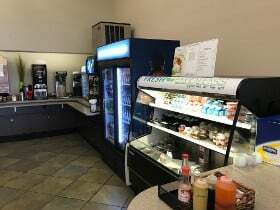 PPC has a large café on-site available to employees of all shifts. Our chefs make meals fresh every day with choices that range from cheeseburgers to salad. 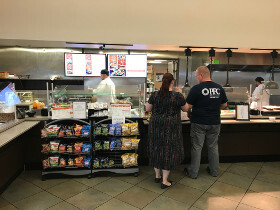 PPC is happy to subsidize the cost of meal prices so employees can enjoy a discounted rate. Employees can also utilize refrigerators to store meals from home. PPC will reimburse employees 50%, up to $200, for a year membership to a fitness gym to help promote a healthy lifestyle. Some stipulations apply.